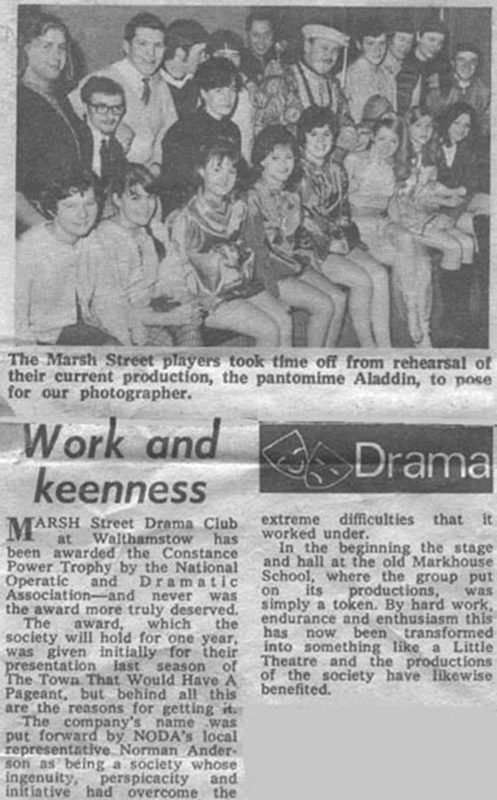 Walthamstow Guardian Newspaper Report – 17 January 1969. See typed text below. “Marsh Street Drama Club at Walthamstow has been awarded the Constance Power Trophy by the National Operatic & Dramatic Association – and never more was the award so truly deserved. The award, which the society will hold for one yerar, was given initially for their presentation last season of ‘The Town that Would Have a Pageant’, but behind all this are the reasons for getting it. 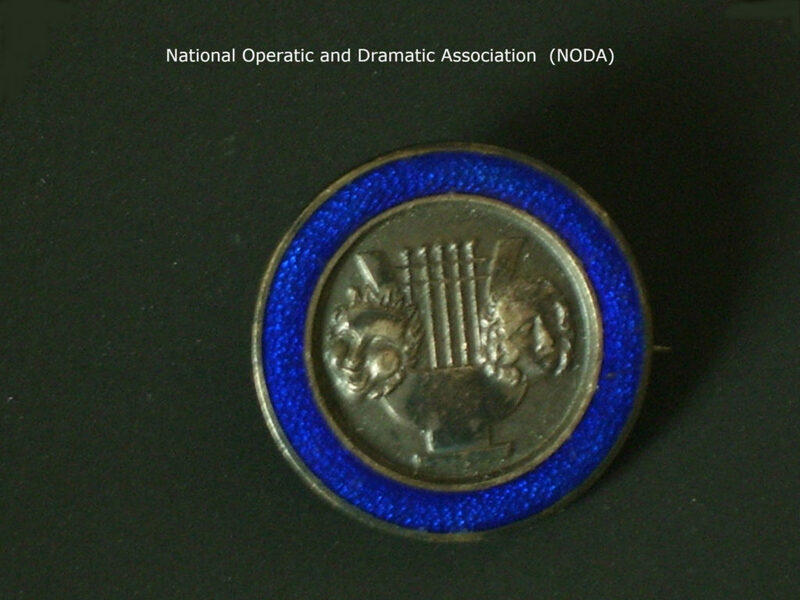 The company’s name was put forward by NODA’s local representative Norman Anderson as being a society whose ingenuity, perspicacity and initiative had overcome the extreme difficulties that it worked under.